Truck delivery stations offer a perfect blend of safety and efficiency. These stations are designed for acceptance of both full transport trucks and smaller bobtail vehicles. LPG is delivered to most consumers via truck and railcar. Almost all standby systems are equipped for trucks, while a minority also use rail. In general, a consumer will get a better buy on propane if purchased in transport or railcar quantities. Trucks normally have power-take-off pumps to transfer product. Top-fitted railcars require the use of vapor compressors to "push" the liquid propane out and, on a secondary cycle, recover much of the remaining propane vapor. 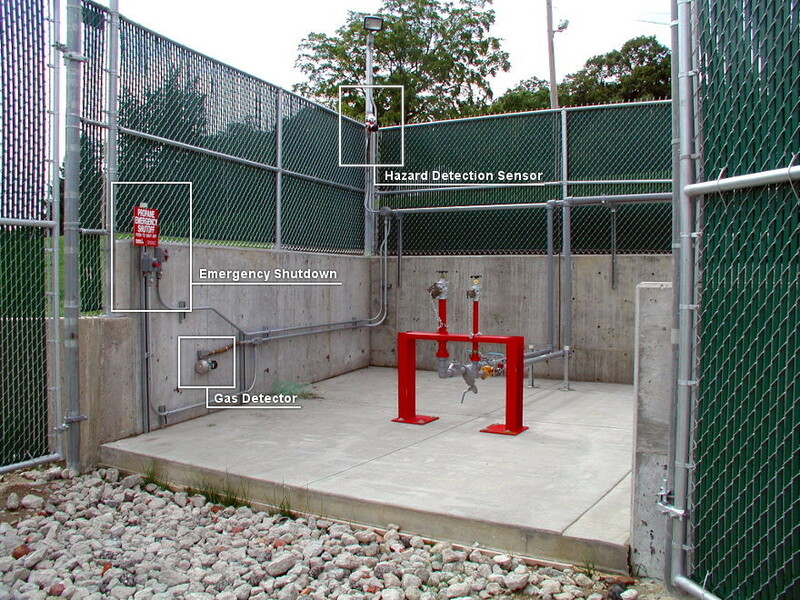 The location and construction of fuel transfer stations are important design factors. At LPG plants with more than 4,000 gallons total storage capacity, we strongly recommend emergency valves at transfer stations to allow quick closure in case of an accident. We provide emergency shut-off and back-flow protection valves, as well as a "breakaway" feature to protect plant piping in the event of a connected-truck pull away. See an example of an industrial plant brought up to date by Standby Systems Inc.